The MasterCard Foundation Scholars Program is a $700 million global initiative to educate and develop next-generation leaders who will contribute to social and economic progress. The MasterCard Foundation Scholars Program (MCFSP) enables young people from economically disadvantaged communities to complete quality secondary and tertiary studies. MasterCard Scholars are also trained to make successful transitions to further education and the workforce in their home countries. Wellesley College, a women’s only college, is well known worldwide for its academic excellence. It brings special expertise to the MasterCard Scholars program and also educates women who will make a difference in the world. Wellesley is a leader in the provision of liberal arts education to women, equipping them to make a difference in the world. Over the next few years, the MasterCard Foundation will provide funding for 9 MasterCard Scholars at Wellesley. Women from Sub-Saharan Africa can apply for this scholarship. Be a high school graduate with either a high school diploma or Government Examination Certificate. All applicants to Wellesley who apply for financial aid and meet the criteria for the MCFSP will be considered for this scholarship. 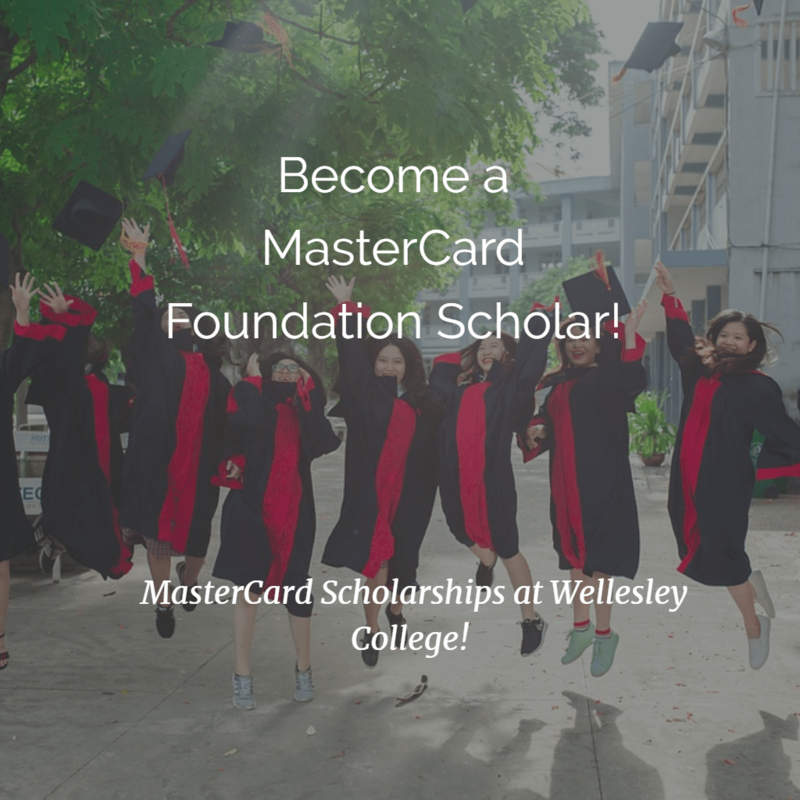 Before you apply for the MCFSP, you must have submitted an application for admission at Wellesley College, and indicated your need for financial aid.